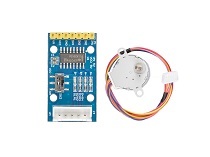 The Gear Stepper Motor Driver Pack includes a stepper motor and a motor drive board. 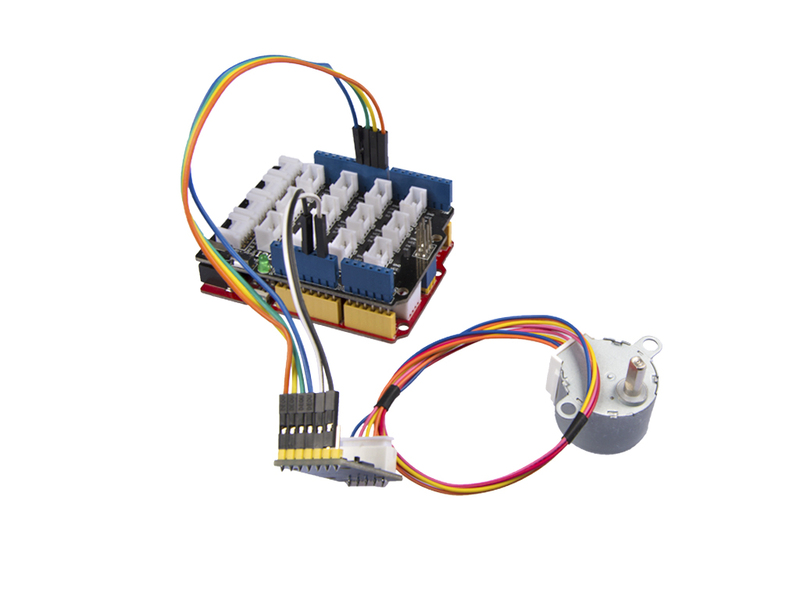 It's a four-phase eight-stepping stepper motor, and you can easily control this stepper motor via the drive board. 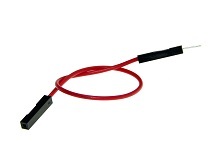 You can use this pack for position control. you can click it to see the original picture. 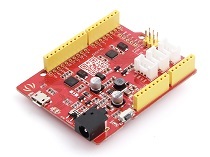 2 To make the Gear-Stepper-Motor-Driver-Pack work with your Arduino, several Female-Male jumpers is also required. In case you do not have jumpers, you can click here to buy. Step 1. 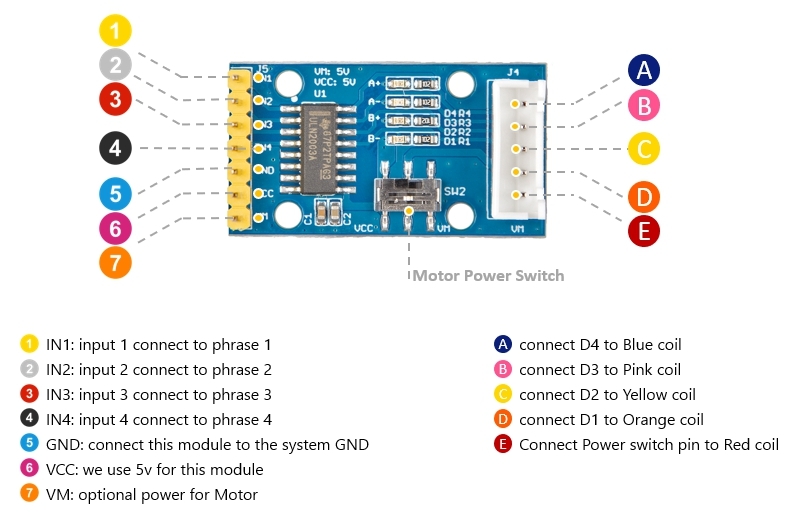 Connect the Gear Stepper Motor Driver Board to your seeedunio via jumppers. You can connect the VM pin to VCC_5V or you can just do not use it as long as you choose the VCC in the switch. Step 2. Plug the stepper motor into the Gear Stepper Motor Driver Board. Step 1. 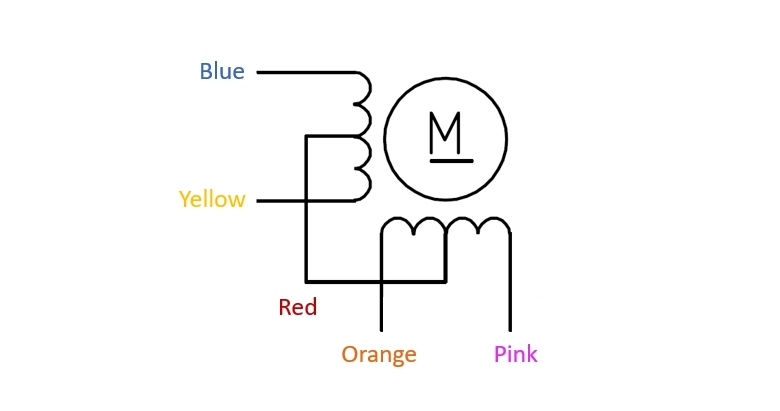 Click the icon in upper right corner of the code block to copy the following code into a new sketch in the Arduino IDE.